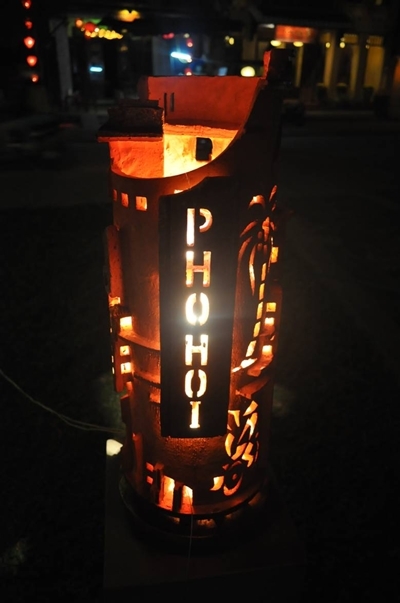 A lantern festival in the World Heritage Site of Hoi An wrapped up on the evening of February 6 with the best products being honoured. 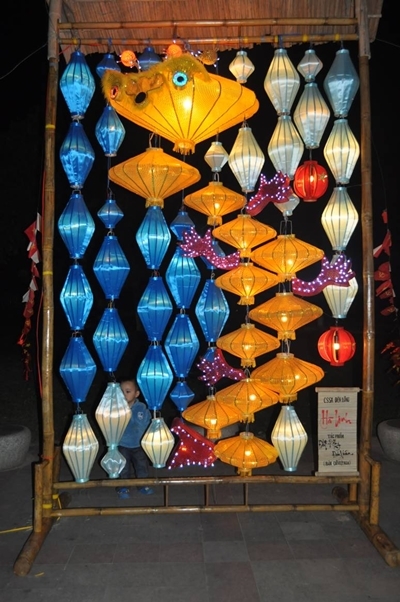 In terms of lantern arrangement art, the “Luong Long” or twin dragons by the Hoi An’s Centre of Culture and Information won the first-prize worth VND7 million (USD332.76). 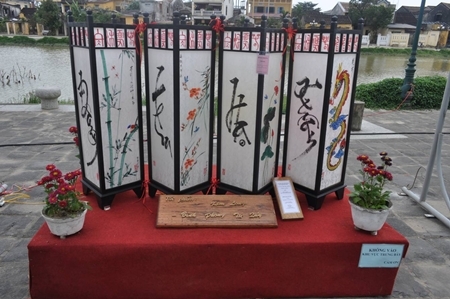 The second prize worth VND5 million (USD237.68) was awarded to a craftsman named Huynh Suong for his piece, ‘Que Toi’, or my hometown product. 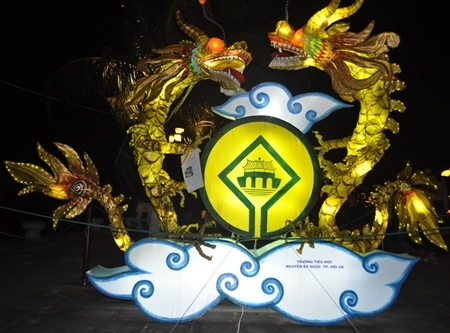 The ‘Ve dat rong’ or back to the land of dragon was presented with the third prize worth VND4 million (USD190.15). 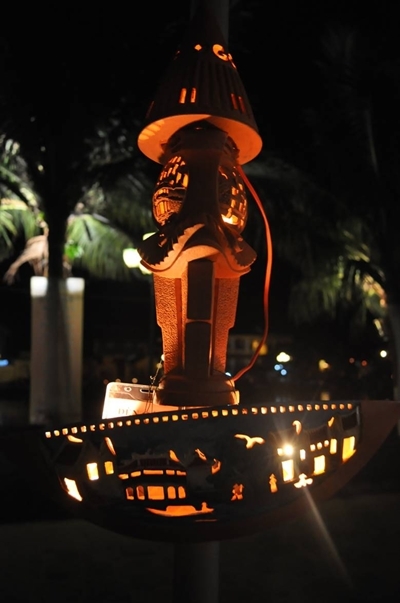 Among commercial lanterns, Le Tuan Quoc’s ‘Den Gom’ or pottery light was awarded with the first prize. 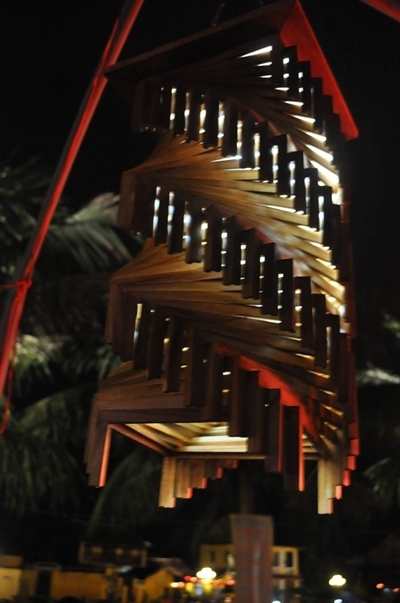 The second prize belongs to Nguyen Thi Kim Hien’s ‘Den Oc Xoay’ or spiral light. 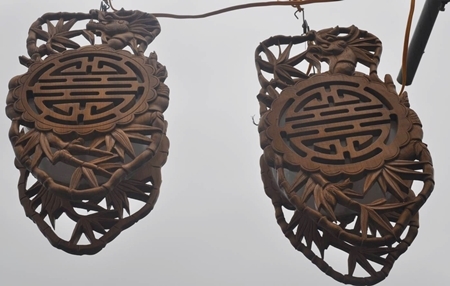 Le Nguyen Thanh Quan was awarded the third prize for two products, ‘Den chu tho’ or Longevity word-resembled light, and ‘Den chum ap tran’ or Ceiling light cluster.